As previously the ride will start and finish at Stockbridge Farm (op. Tilford Church) in an 18 acre site with 20 foot wide access gates, ample parking, a large marquee, toilets and refreshment facilities will be provided. This all-weather course is over 10 miles on well drained sandy, undulating, heath land with hills in beautiful scenery. 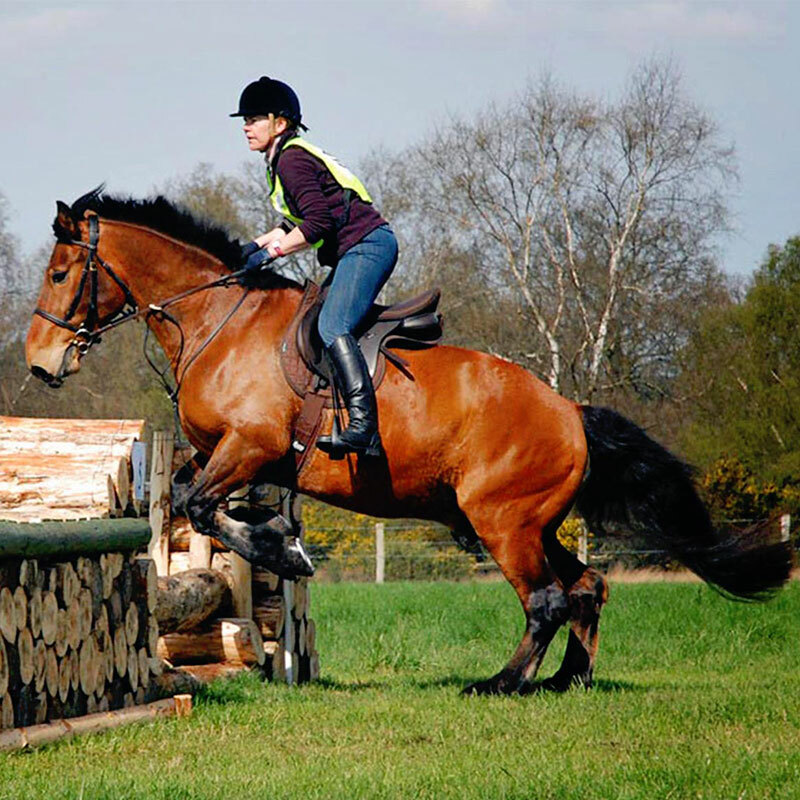 It offers a variety of optional cross country jumps 2’6″ / 2’9″. Other optional more challenging jumps have been introduced for the bolder horse and rider. The course is well marked with directional arrows and each jump flagged by, red signs on the right and white signs on the left. Stewards are located at each cluster of jumps to provide assistance if necessary. All have radio communication with the base station. 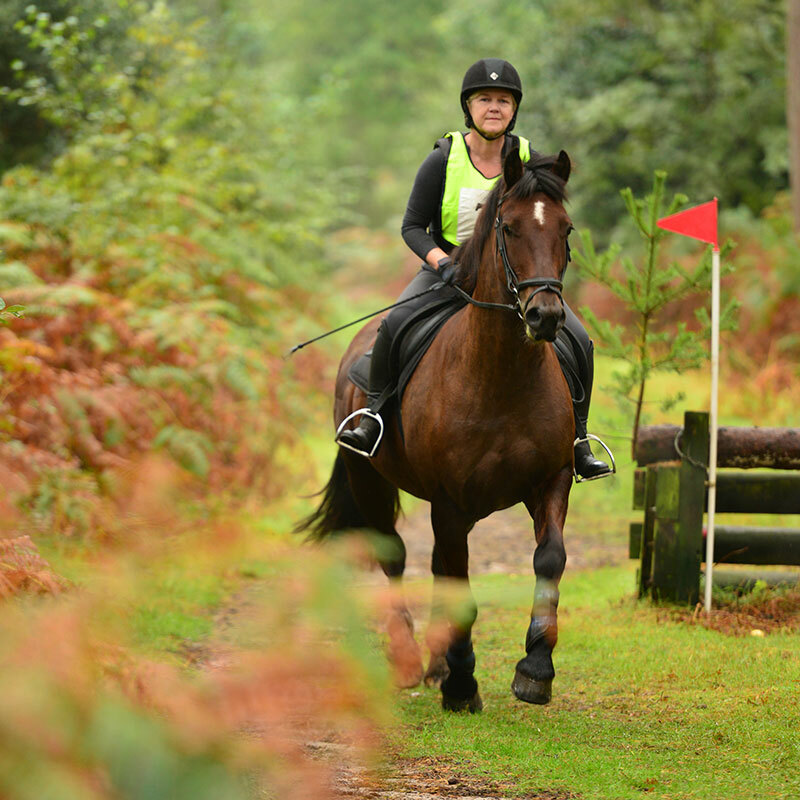 Many thousands of pounds have been raised by the ‘Frensham Sponsored Ride’ over the event’s 40 years history. All funds raised have been distributed to local individuals, organisations and charities – which will continue under the auspices of the ‘Farnham Hedgehogs’. Equine Flu – Updated Information. Given the recent outbreak of Equine Flu we feel sure you will understand it is necessary for us to implement certain precautionary measures. We therefore require each horse competing to have a “Valid Flu Certificate” showing completed flu vaccinations within the last twelve months (i.e. vaccination course completed after 29th April 2018). For FAST TRACK ENTRY; Please continue to book your ride, but remember, if you want FAST TRACK ENTRY ON-THE-DAY you need to email or post us a copy of the relevant Vaccination Certificate ASAP to our Ride Secretary and ensure it is received by us at least one week before the event. On receipt we will send you confirmation. Please bring this confirmation to the event on the day as without it, you will not be able to use Fast Track! ON THE DAY ENTRY; You can still enter on the day providing you have the required Passport & Vaccination information. On arrival you will be directed to a holding area where your Passport and Vaccination information will be validated. This might take slightly longer but we will ensure it happens as quickly as possible. Please ensure your horse remains in your transport until your details have been validated. If your horse is not yet vaccinated, you should contact your vet immediately to start a course of vaccinations. The primary and secondary injection should be completed by the 13th April 2019 and need to take place a minimum of 21 days apart. Equo entries must be made no later than 8.00 am Friday 26th April. Postal and Emailed entries must be received no later than 8.00am 21st April. Entries are available on the day with a £5 surcharge. Please go to the registration area in the large marquee between 11.00 am and 2.30 pm on Sunday 28th April, where there will be a separate ‘on the day’ desk – please have your £35 CASH READY – as no other payment method is available. 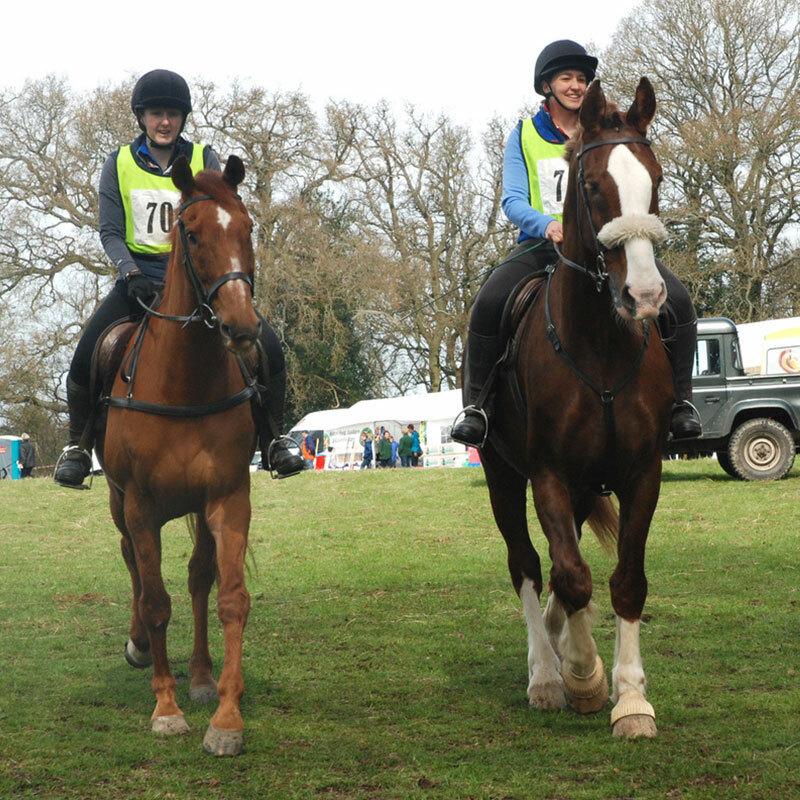 All riders regardless of how they enter receive a 2019 ROSETTE on completion of the course. We request that the sponsorship money promised is not less than the suggested voluntary donation of £20.00. Rider Recognition & Sponsorship Awards for amounts collected greater than £20.00 are significant and are identified below. As last year this year’s entry fee is £10.00 (non-refundable) plus £20.00 the minimum recommended sponsorship. Both amounts (£30.00) need to be paid when applying. Please get a sponsorship form which can be downloaded from this web site to assist you collecting the minimum suggested amount when entering online. During the on line entry process you will be able to request your preferred start time. The Equo system will then confirm your ‘Start time and Rider Number’. If for any reason your preferred start time is not available then please email secretary@frenshamshr.org and she will either give your preferred time or a time as close as possible to your preference. As before we expect many hundreds of Riders and sometimes meeting your preferred time might not be possible. An early entry will clearly help. Click on logo below to enter for the ride. 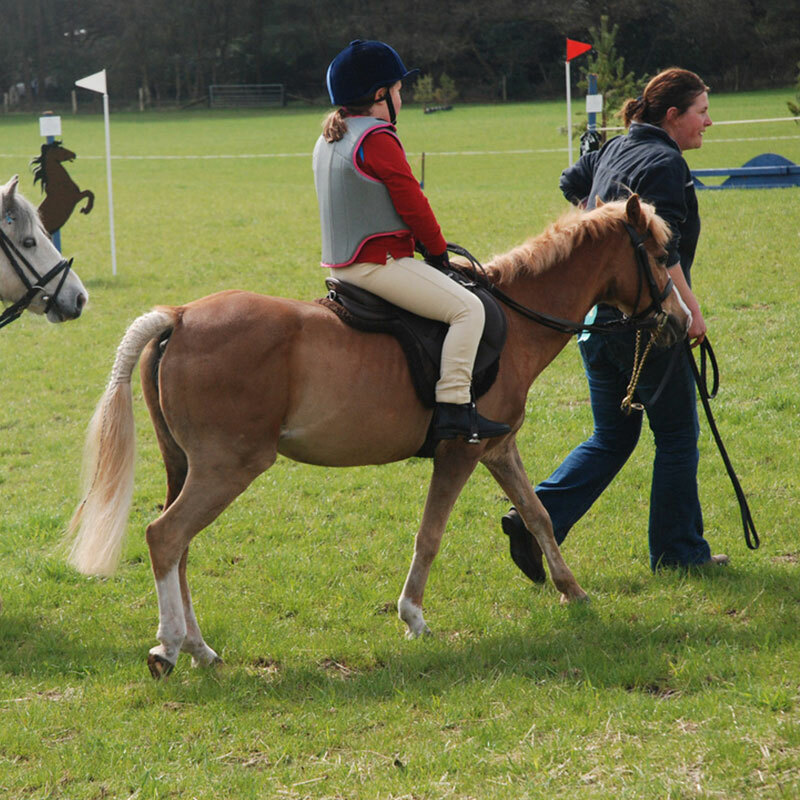 Postal Entry – using the ‘Entry Form’ in the ‘RIDE SCHEDULE’ or ‘download’ the ‘ENTRY’ and ‘SPONSORSHIP FORM’S below. We request that the total sponsorship money promised is not less than the suggested voluntary amount of £20.00. BACS: sort code 60-08-15 A/C 90373901 using ref; FSHR & your full name. If you have an email address then we will use this to respond with a Rider Number and allocated Start Time. 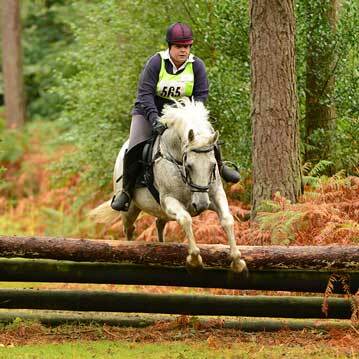 If you don’t have an email address then please include a stamped self addressed envelope – with the correct postage for its size – with your cheque so that we can send you confirmation of, your rider number and allocated start time. When applying by post or email the closing time for these applications will need to be received by 22nd April 2019. 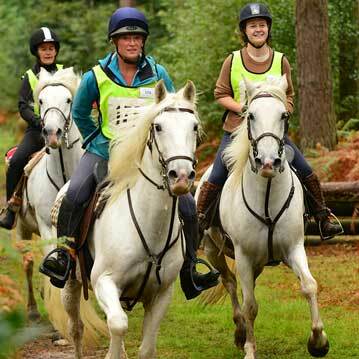 Regardless of how you sign up for the Frensham Sponsored Horse Ride, how about setting up and sharing your sponsorship page with your friends and family by simply clicking on the logo below. The three top Riders who collect the largest amount of sponsorship monies will be presented with a GOLD, SILVER or BRONZE “HAT SILK” indicating their respective sponsorship achievements. We hope that these sponsorship achievers will then be happy to undertake the Ride event wearing these “HAT SILKS” which we would like to photograph for future promotions of the Frensham Sponsored Horse Ride. All three recognised Riders will also be entitled to awards specific to there level of sponsorship which are shown in the video below. TO QUALIFY FOR AWARDS, SPONSORSHIP MONIES MUST BE RECEIVED OR NOTIFIED BY EMAIL TO secretary@frenshamshr.org BEFORE 9.00am 27th APRIL 2019. This process will be the sole means of determining the AWARDS. Additionally, we will endeavour to get the top collecting Rider’s personal ‘Horse & Rider Landscape’ photograph published in ‘Horse & Hound’. Take the A3 and enter the Hindhead Tunnel signposted Portsmouth and Petersfield. As you exit the tunnel take slip road signed Hindhead, Grayshott Haslemere. At first roundabout turn right towards Hindhead. At second roundabout take exit towards Hindhead. At third roundabout go straight on towards Hindhead. At mini roundabout take first exit on to A287 towards Farnham. After approx. 0.5 mile turn right signed Rushmoor and Tilford. Do not enter the Hindhead Tunnel. Leave the A3 at the slip road before the entrance to the Hindhead Tunnel. At the roundabout follow signs to Hindhead. At second roundabout go straight on towards, Hindhead. At mini roundabout take first exit on to A287 towards Farnham. After approx. 0.5 miles turn right signed Rushmoor and Tilford. HGV/ LARGE LORRIES: BOTH BRIDGES from FARNHAM over RIVER WEY AT TILFORD ARE NARROW & HAVE 7. 5 ton WEIGHT LIMITS. There is ample parking at the site managed by parking stewards and 20′ access gates. On site for all your refreshment needs including the Barbarian Grill – The Hobo Co – Tilford Brewery – The Coppert Top Bar with a covered seating area. Course Mid Point Catering:- ATC runs a refreshment point situated two thirds of the way along the route, GU10 2JN, for riders who may like to take a break and meet up with friends. The cost is £1 payable at the start. will photograph still and action shots available to purchase on the day and for use in future promotional activity such as the following years event. DENNERS TACK SHOP for all your equestrian tack, clothing and accessory needs. ON-SITE SERVICES available at rider’s expense. Click on our logo below for more information on “The Hedgehogs” Farnham’s Local Charity. Mr & Mrs N Morland, Miss H Clarke, The National Trust, Waverley Borough Council and other landowners who allow us to cross their properties; Mr J O’Sullivan, Mr and Mrs G Wigley, Mr & Mrs J Wylie, Mr L Trevellyan, Mr & Mrs D Powell, the Mallaisfamily and Rushmoor Woodland Partnership. If you have any questions regarding the Frensham Sponsored Horse Ride, please complete the form below and we’ll get back to you.